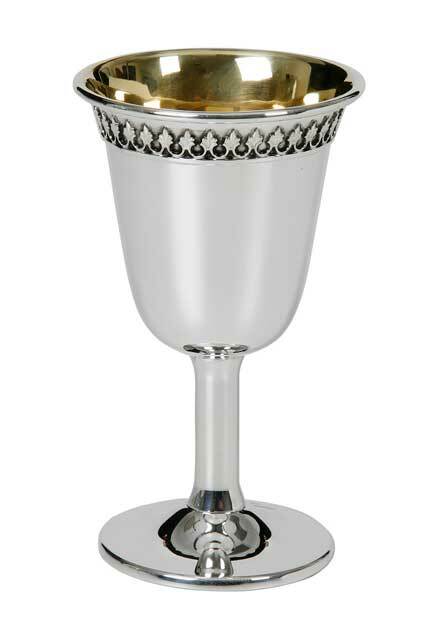 925 Sterling Silver Kiddush Cup, designed and crafted in Israel by Hazorfim. This cup is made by the most experienced craftsmen in the industry and perfected to the finest details, the interior is gilded as shown. Matching Trays: Click Here to view our complete collection of trays.